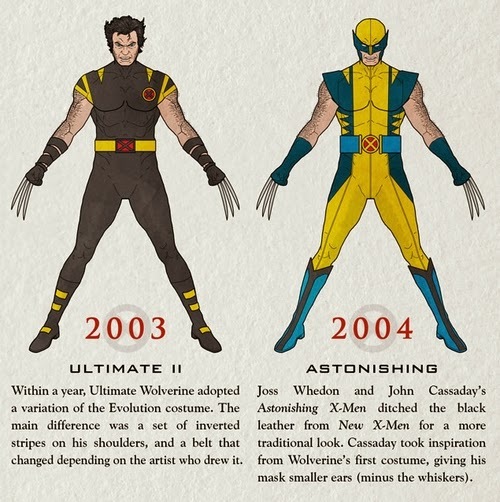 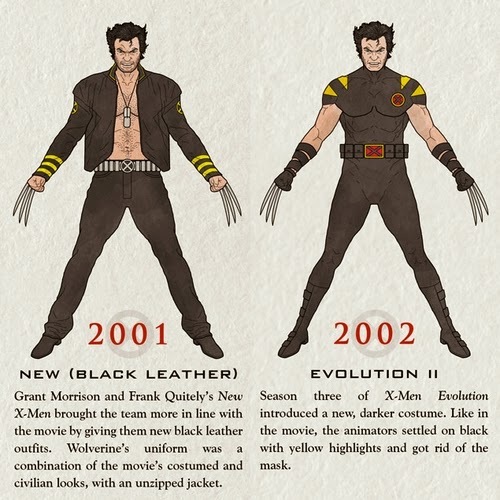 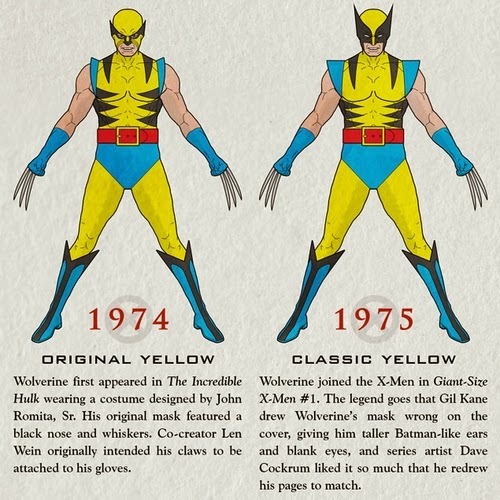 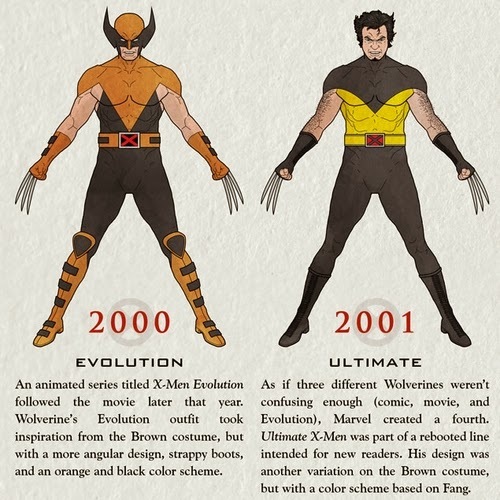 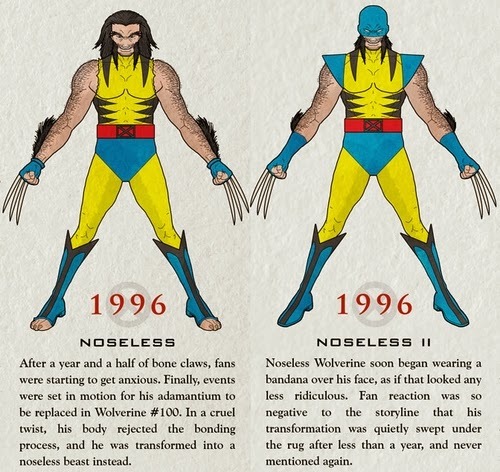 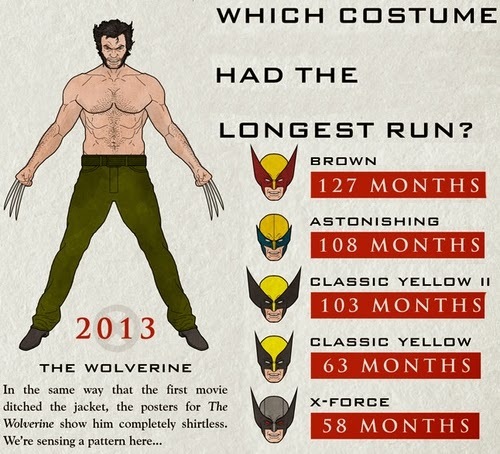 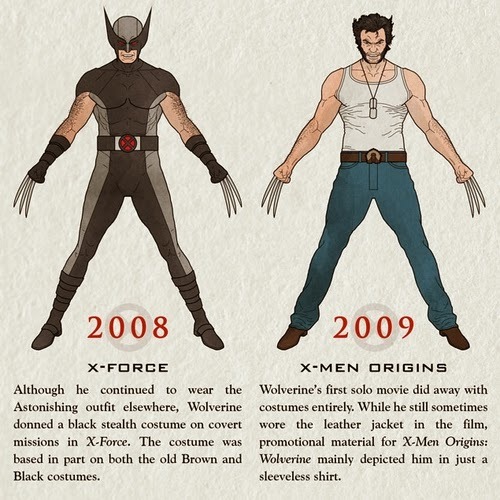 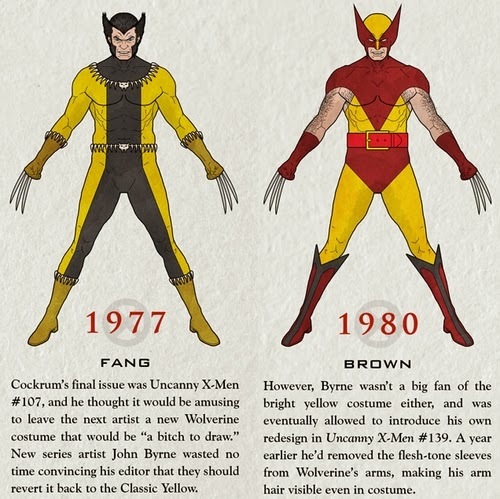 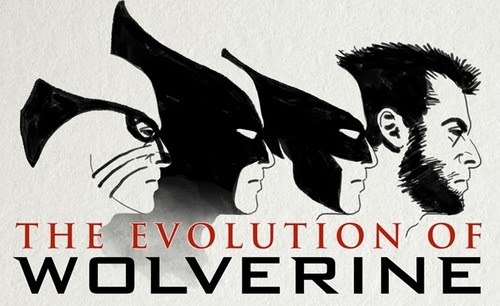 infographic depiction of the evolution of the character Wolverine from 1974 to 2013. 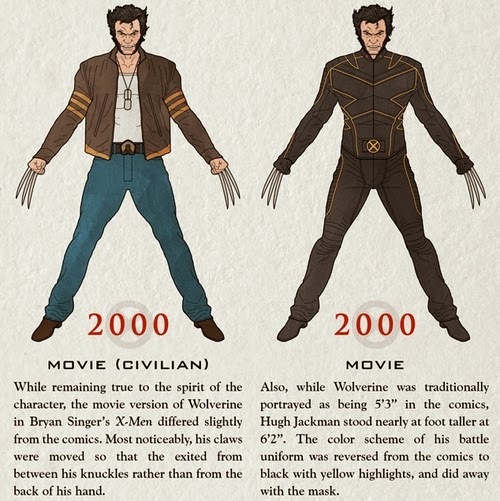 With The Wolverine just come out, you can see the history of the character from birth to modern times. 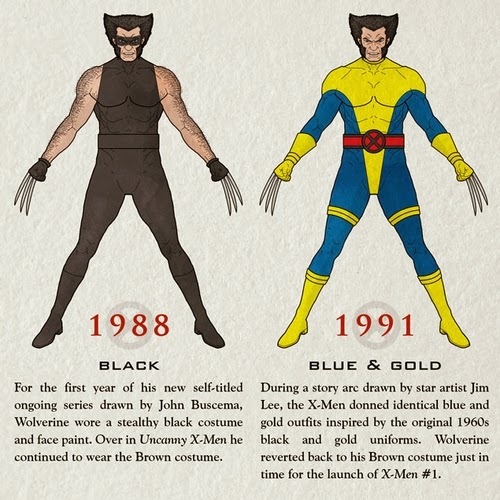 This image and information was compiled by Halloween Costumes. 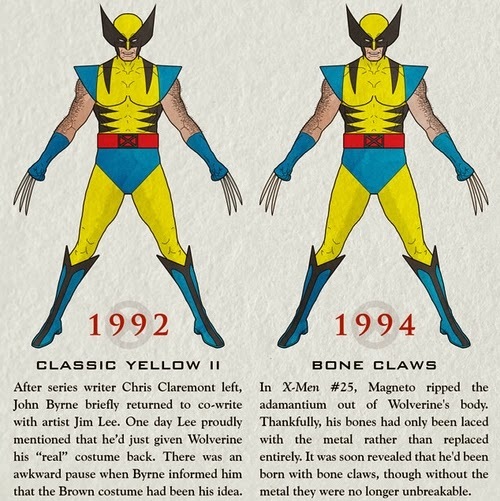 Enjoy looking at the different images and the explanations that go with it.